Abbigail’s brave journey is inspiring so many to be giving and thoughtful and even generous! I was contacted by a local mom late last year, her daughter goes to the same school as our oldest son William and that is how they first heard about Kisses for Abbigail and began following her journey. I was thrown back and absolutely stunned to hear that her daughter wanted to shave her head as a fundraiser for Kisses For Abbigail. A young girl of only 11 years old has made the conscientious decision to shave her hair off in honour of the far too many children battling cancer. That is huge and honourable and very humbling as a mom of one of these battling children. Chanelle you are very brave and a remarkable young woman, Sonya you should be a very proud mama bear to have raised such an amazing girl with a heart larger than she is! Thank you Chanelle and family for all that you are doing!!! Chanelle’s Brave Shave for Kisses For Abbigail is a fundraiser by this absolutely remarkable 11 year old young lady. Her family and her have been following and supporting our baby’s story on Facebook and on this blog and their hearts couldn’t be any larger. In recent years Chanelle has donated her hair to “Locks of Love,” but this time she is bravely going the extra step and shaving it all off! Please join me in showing her much support, by watching for her photos on instagram and by leaving her a message of encouragement, as this is no small feat for such a wonderful young lady! If you want to pledge Chanelle and support her immense efforts, please click her photo below or the link provided to support Chanelle’s Brave Shave! I want to thank everyone who took the time to read today’s blog entry as I re-enter the world of blogging. It has been difficult to truly write my emotions out as we have been facing our worst fear as parents of a child battling cancer, but I thought today’s post would help ease me back in. Thank you for following on Facebook and being patient. Abbigail is truly blessed and our entire family appreciates all of your support!!! Thank you so much! 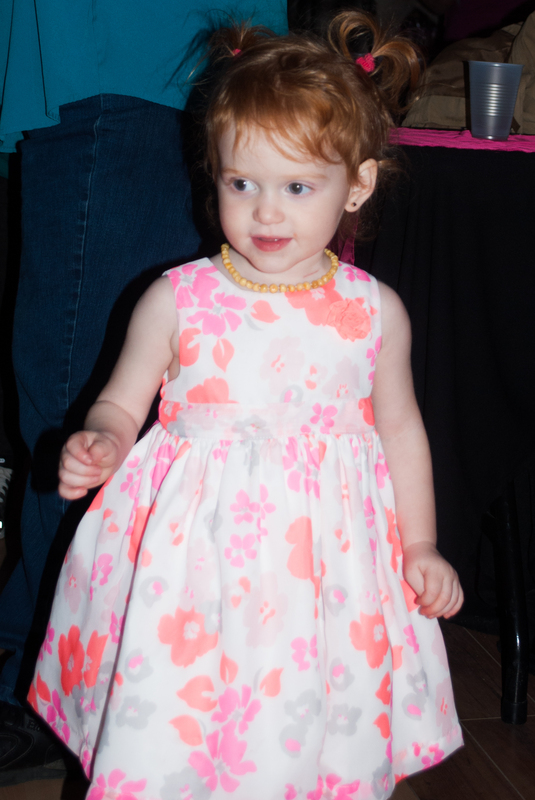 Friday night was the Kisses for Abbigail Fundraiser and it was magical, truly a night to remember. It was beautiful, humbling and absolutely amazing in every sense of the word. I found myself holding my breathe, taking it all in, trying not to miss anyone or anything. The hall screamed Abbigail, from all of the pink, to the photos of her beaming smile, right down her very own candy shop! I fought back tears all day leading up to the moment we walked through those hall doors and when I saw the hall and all of the wonderful ladies who made it all happen, I couldn’t help but tear up…well ok, I won’t lie, I flat out cried. Tears of overwhelming joy wrapped my heart and I was humbled yet again. Seeing the amount of work and dedication that went into that night, even before a single guest arrived, was enough to make any mother cry. This was all for our baby girl, a tiny being whom these people had never met and yet spent countless hours preparing to shower her with warmth, love and support. I’m tearing up now just thinking about that breathtaking moment when our family walked into the hall for the very first time. This entire night has left Matthew and I speechless, from the first moment we learned about it months ago. I suppose no one wants to receive charity, because…well, I think we’re all prideful, and no one wants to be a charity case. So here we are, Abbigail’s parents, in awe and totally humbled tonight. Let me start by saying that, Debbie you are truly exceptional. A woman whom I have never met, took the time to read our precious Abbigail’s story, and brought it home and decided to shoulder this amazing night. So many wonderful people have come together to make tonight beautiful and memorable for our family. We want to thank you all! Colleagues of mine at AECL who devoted so much time, effort and heart to this event, Thank you Debbie, Annie, Nicole, Sue, Erin, Laura, Terri, Karrie and Amanda. We also want to thank our family who have all helped as well! My mother-in-law and cousin Janis who sold countless tickets, collected donations and prizes to make this a memorable night, and who donated their time, and spread the word about tonight! Thank you and we love you. Thank you all for your dedication and heart, and for coming together to make this surreal night a reality for our family. You are all so very exceptional, to the very core of the word. All of you here tonight, thank you for coming out and for supporting our family. It means the world to us to share this beautiful night with you all. Your generosity is appreciated and we are so grateful to all of our family, friends and community members here. We can’t express what this night means for our family. It is more than fundraising, it is a symbol of the support we have come to know throughout this journey. Thank you all for your kind hearts. I’m sure that all of you there were grateful for my inability to stop the tears, which stopped the speech and made way for the music and good times to continue! I’d just like to share with you those thoughts that plastered my other two and a half pages I never shared that night. I just want to share with you how tonight is going to help our family and Abbigail. For starters, we’ve really come to realize that life can be hard. In all sort of ways, life can be hard. For us, life raising a firecracker like Abbigail is hard most days. Raising a little girl who has very rare and unique special needs and facing the harsh realities that childhood cancer and OMS carries is really hard. Maybe some of you have been through similar experiences with a child of your own, or a brother, sister, parent or maybe a close friend going through something difficult, that scream life just isn’t always easy. For many, many people, life is hard. For us, there’s tons of extra attention that needs to be taken from sunrise to sunset. Then there’s the lack of sleep when Abbigail’s symptoms take over at night and she calls out for mama hourly and there’s also the lack of sleep just because we worry. There’s also sadness, anger and frustration; which are all tiring on their own. I’m sharing this because you are all helping us with this. It’s incredible really. Your generosity will first help us in our search for hope for our sweet Abbigail, and then it will help us to start putting the pieces back together, as much as we can. It will help us start living a more “normal” life with Abbigail and our two amazing boys. Abbigail is the one in the hospital bed, attached to IVs but we fight these battles as a family, sometimes that means travelling for treatment together and extra costs associated with that. Tonight will allow us all to continue to support Abbigail together and stay together no matter what the future of her treatments look like. 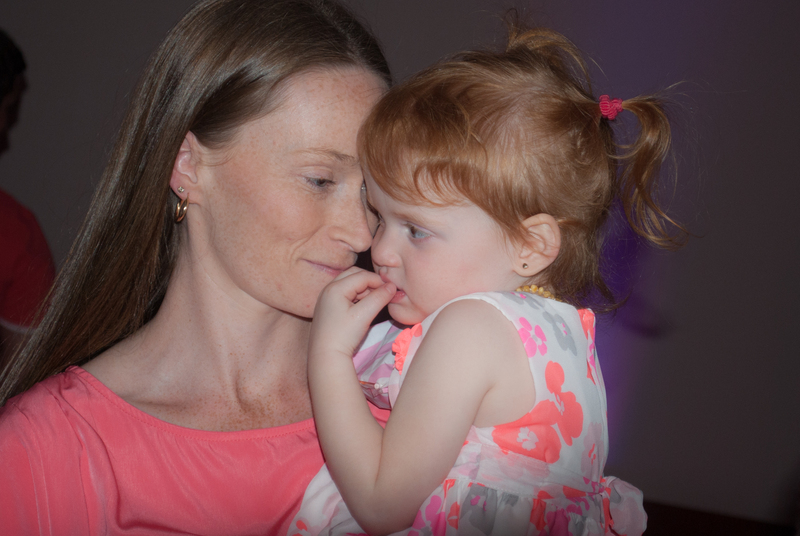 With your help we will be able to provide Abbigail unique care and developmental learning that we otherwise couldn’t necessarily afford. You guys really don’t know how amazing this is for us, or maybe you do. We are so grateful. Seriously. And sincerely. Thank you. Aside from everything I’ve already said, I think the most amazing thing about this night is what our little Abbigail has taught us all about life. I think a little bit of her innocence and love and vulnerability has touched our hearts in similar and different ways. Something happens to you when you look at a little baby – a little child – and know they won’t live the same ever again. Something even greater happens when you’re that child’s parent. To put it simply, it forces you to confront reality. Like how do you do that? We found out – you just do it! You just do it because you have to. Because you want to. Because there’s this little angel – just like every baby is a little angel – who looks up at you with the most loving eyes. This forces you to realize some amazing things about life. Things like life are hard. Life’s not perfect, despite how much we want things to be perfect. And how living through hardship and imperfections makes you stronger. Makes you more human. More real. Living through childhood cancer and raising a child who you know is going to fight day in and day out makes you realize that what you thought was important actually isn’t. It makes you realize how most people’s world views are like houses of cards. And how most of us will go to great lengths to protect our houses of cards from getting blown down by the winds of reality. Abbigail blew down our house of cards. She stripped away so many of our false illusions and helped us realize what really matters. So what matters? Well, I guess whatever we think matters, matters, to a certain extent. But I guess what I am saying is that – as morbid as it sounds – our darling Abbigail has reminded us that our time on earth isn’t permanent. There’s nothing permanent or perfect about it. We’re here right now, and we’ll be somewhere else tomorrow, and somewhere else a year from now and definitely not around in 50 or 80 years. Life is limited. Life is what you do in between the start and finish. Some of it will be good. Some bad. Some of it happy. Some of it sad. And that’s okay. All these things are part of being human. I guess Abbigail has taught us that all we have, all that really matters, is how we spend our time. Our time with one another, with each of you tonight. Thank you so much for your generosity; thank you so much for coming tonight! Let’s have fun and make this a night to remember!!! We have so much appreciation to share and we want to make sure we thank each and everyone of you who donated to this wonderful night. So many local businesses, kind people and families and our friends, family and colleagues. Please look for a follow-up article in our local paper in the next week! We hope no one goes unmentioned, but please know that we appreciate every effort, every donation, large or small and that we feel so loved and supported!!! 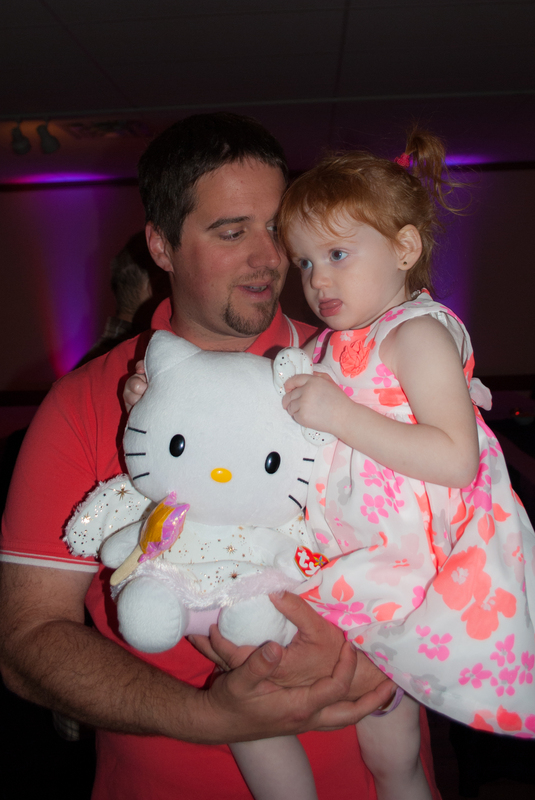 Tears fill our eyes when we think about this magical night held in Abbigail’s honour. Thank yous will never be enough when we think about the amount of work that went into organizing this event. 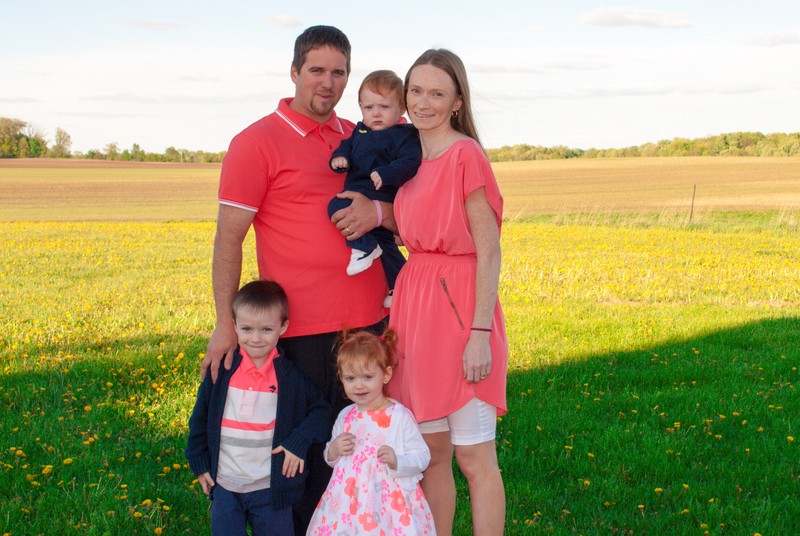 The support that has been given to our entire family is unbelievable and when we walked around the Rankin Community Centre on Friday night, we were overwhelmed by the turnout of family, friends and complete strangers. A special thank you to Debbie Peplinskie for taking the time to organize this event, the John Priebe Band & Friends and to everyone who helped in her quest to make this night a success. Thank you from the bottom of our hearts. This night was nothing but magical and something indescribable.